Chicken and biscuits, kayaking with a golden retriever (ok golden not included), and walking the grounds of POTUS1 all in one day? Yes, please! A few things Virginia is not short of is good southern food, outdoor adventures, and historic experiences. Add dog friendly to this and I'm game. Speaking of which, this post is dedicated to day trip suggestions (mostly dog friendly) including POTUS 1's home, Mount Vernon (MV). While I've visited MV countless times (I grew up in Virginia! ), I never visited with my dogs. Did you know they have a dog specific walking tour in the fall and spring? Big thank you to the kind people at MV for inviting us with our pups recently. See below for day trip suggestions including a google map to visualize locations and help plan your next visit! 1. 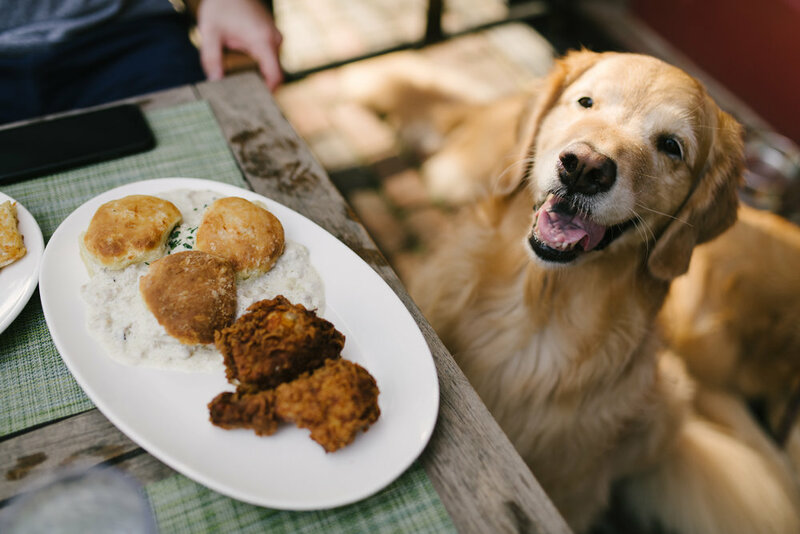 Eat breakfast/brunch in Old Town Alexandria: We ate on Jackson 20's dog friendly patio in Old Town Alexandria to start. Our recommendation: chicken and biscuits or chicken and waffle and don't forget to add a hash brown. 2. Old Town Farmers' Market: While the market isn't dog friendly, you can tag team with a buddy between going into the market and staying with your pup(s). - Dyke Marsh Wildlife Preserve: Kayak the marsh or walk the 1.8 mile path. - Walk around Old Town: Start on any street and go! - Walk, run, bike, etc. the Mount Vernon trail: The Mount Vernon Trail spans 18 miles from Theodore Roosevelt Island to Mount Vernon hugging the Potomac River along its path. Aspen and Koa especially like it for bird watching. Next stop: Mount Vernon! Roughly 15 miles from DC and 8 from Old Town, Mount Vernon is perfect for families, dogs, and history buffs alike. 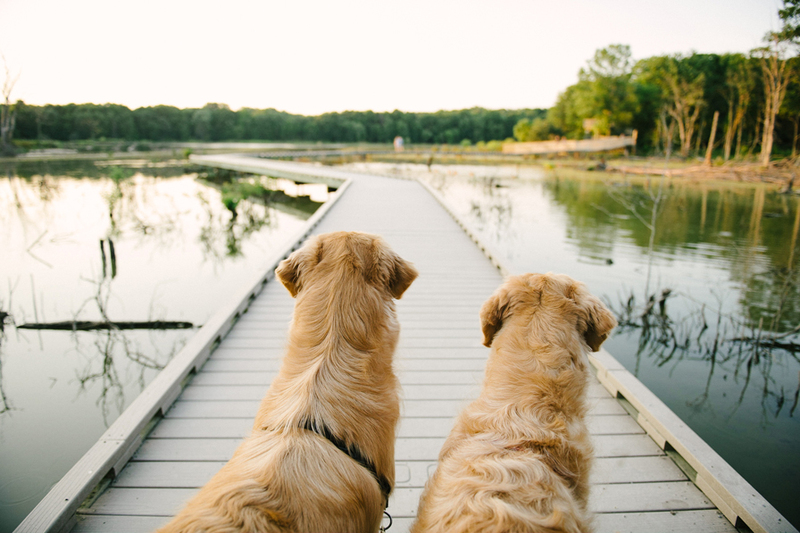 Get there by car or even by boat (through a third party, not dog friendly). The property offers various activities daily: touring the museum/education center, walking the gardens and farm, touring the Mansion, and perusing countless exhibits. If this is your first time, plan to spend 3-4 hours minimum. The best part is that dogs are allowed around the property except inside the historic buildings/Mansion (so plan to take turns with family/friends going inside). 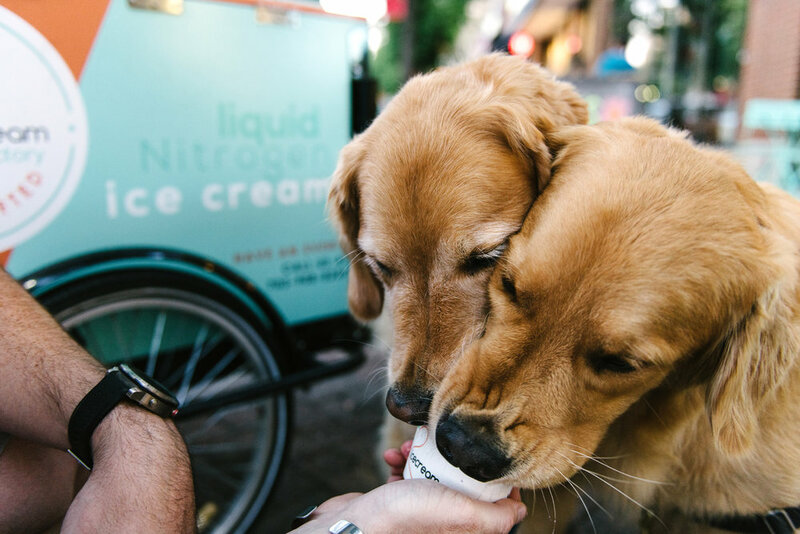 After touring POTUS 1's property, I recommend a pitstop at The Dairy Godmother for frozen treats for both you and your pup(s) OR Nicecream for a different twist on traditional ice cream (a heavenly one - try Key Lime Pie and Nutella). If you're not up for ice cream, my husband always looks to see if the hot sign is turned on at the Krispy Kreme outside of Old Town Alexandria on route 1. If you have more energy to burn, watch planes take off/land during sunset at Gravelly Point or walk the trails at Huntley Meadows Park (please note: the boardwalk is not dog friendly). I hope you find these suggestions helpful! Do you have anything to add to the list?